2 images. 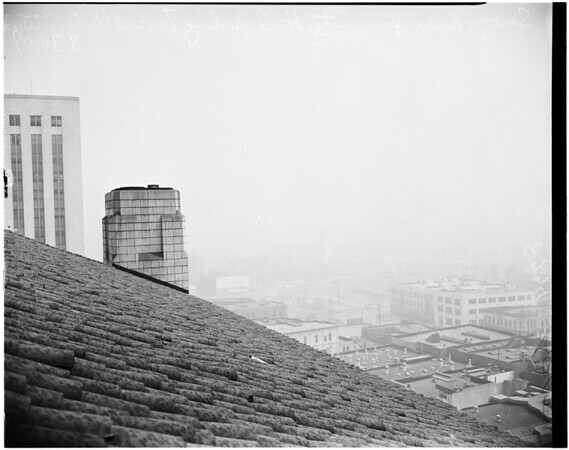 Smog, 30 August 1949. Taken from City Hall. (Sleeve reads: 8334 now 9593).